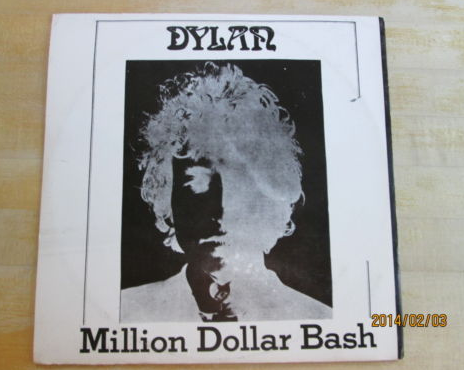 I spent a little time over lunch looking at Dylan bootlegs for forthcoming years, particularly what was out there on the internet to buy (there is a great deal to trade, but since I don’t actually own any, that’s tough for me!). It seemed like a good idea to head over to eBay. 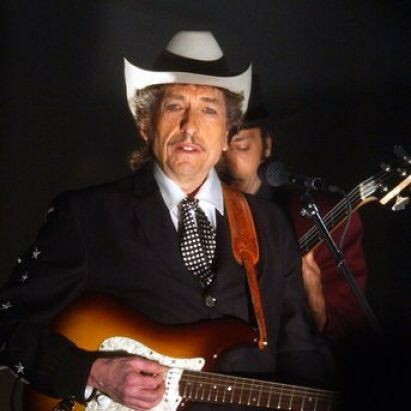 You have to add “vinyl” to your search, because Dylan and Columbia have complicated matters considerably by the use of the term “Bootleg Series” (which was probably part of their intention). 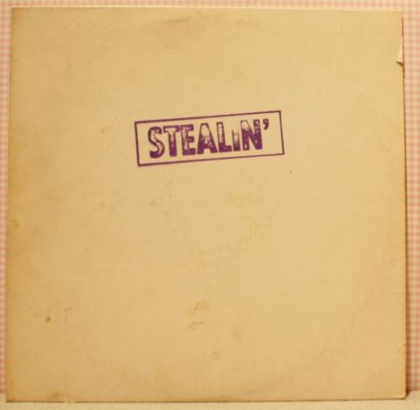 Stealin’ was an album that mixed material from a lot of different sources, which was quite common with the earliest bootleggers and then became less so as time went on. 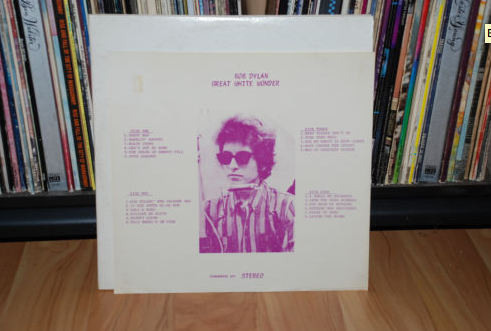 is a later generation copy of Great White Wonder. The owner is asking $50 for it. I have no idea if any of these are fair prices, but it seems steep to me. Help! is another bootleg that combined a number of sources. 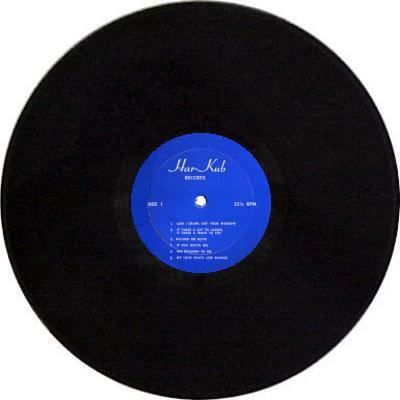 This seems to be the 1978 version. I like this one for the evident cheapness of the cover printing, which is probably just a Xerox copy. This gives a nice sense of where the bootleg industry was at the time. Yours for $80. 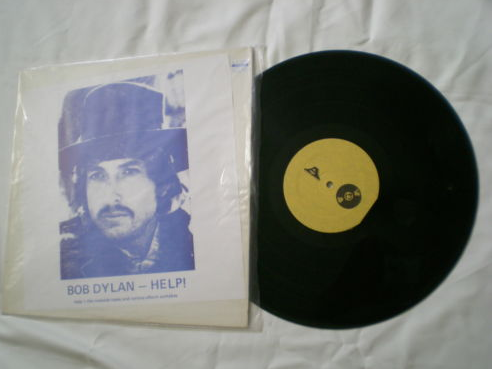 is a version of The Basement Tapes that the owner is asking $100 for. Given how convoluted the history of some of these bootlegs are, I can’t imagine that I’m going to jump into the market any time soon. I sort of want the copy of Stealin’, even if it isn’t the first edition, but the shipping to Canada is way too high. I should put one of those little “Donate” buttons here….